Getting lost is never fun, especially in the great outdoors. Get a military compass from OzSurplus for your next outing, hiking trip, camping trip or adventure and make sure you always stay on track. You need a precise and accurate compass because you never know when your life might depend on it. Our military style compasses are made rough and tough to survive as your main lifeline during day or night. At OzSurplus, we have a wide variety of compasses for sale from budget models of the Atka AC50 and AC80 through to Silva, a brand that the experts rely on, to help you make the most of your next adventure without letting mother nature distract you from your route. 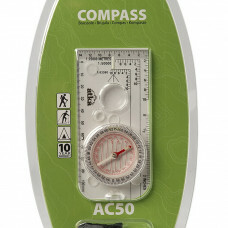 For Peace of mind, Buy a compass from our online store today! 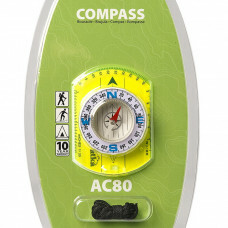 The Atka AC50 orienteering baseplate compass features:Liquid encapsulated global needleMagnifierRota.. 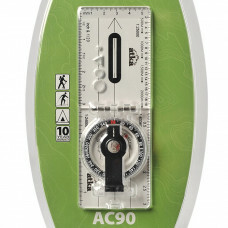 The Atka AC80 baseplate compass features:Liquid encapsulated global needleRotating bezelRuled basepl.. The Atka AC90 baseline folding compass features:Liquid encapsulated global needleHinged bearing magn.. The SILVA Field has base plate map-measuring in mm and scales of 1:50,000 and 1:25,000 compatible wi..
SILVA Ranger features DryFlex™ grip for easy handling and comes with a use-anywhere declination scal..